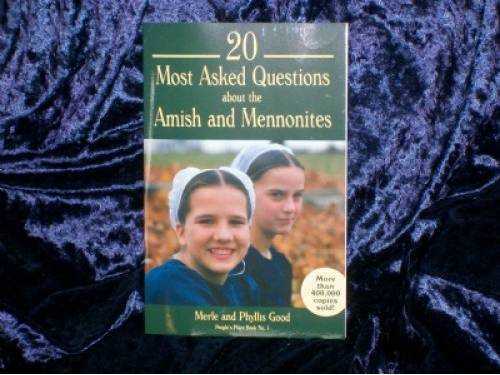 1 - What is the difference between the Amish and the Mennonites? 2 - When and how did these people get started? 3 - Are they a Christian group or do they represent a different religion? 4 - Aren't they a bit naive and backward? 5 - Does anyone ever join them? Does anyone ever leave? 6 - Why do they dress that way? 7 - Is it true they don't go to war? 8 - Why are they against education? 9 - Why are they such good farmers? 10 - Why don't they pay Social Security taxes? 11 - Do any of the Amish or Mennonite groups believe in missions? 12 -What are their weddings like? 13 - How are their women and children treated? 14 - Is food a part of their religion? 15 - Do they go to doctors and hospitals? 16 - What about burial? 17 - Don't they believe in having fun? 18 - What are some of their problems? 19 - Are they growing or dying in number?